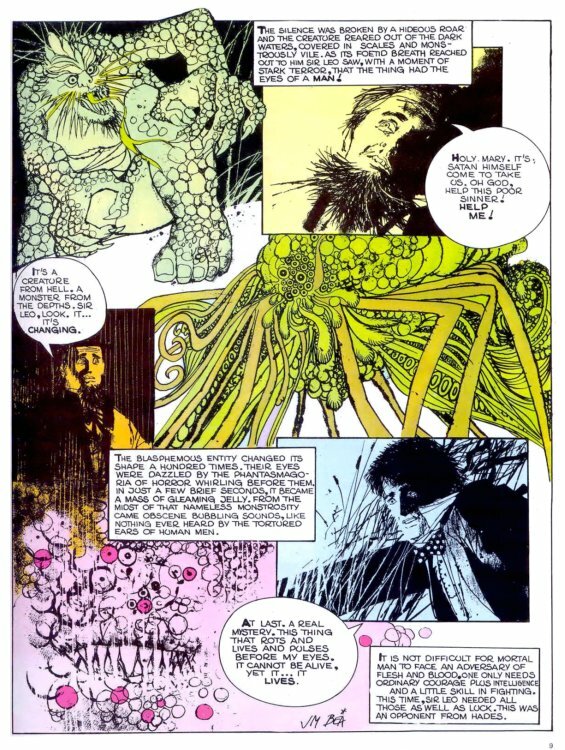 Hero Histories: Reading Room: SIR LEO "Thing from the Lake"
...a Victorian monster-hunter done in a wild, semi-psychedelic style by Jose Bea (The pen-name for writer/illustrator Jose Maria Bea Font). You'll find out if a lead projectile will stop the creature (and if it doesn't...what will?) in our next exciting entry! 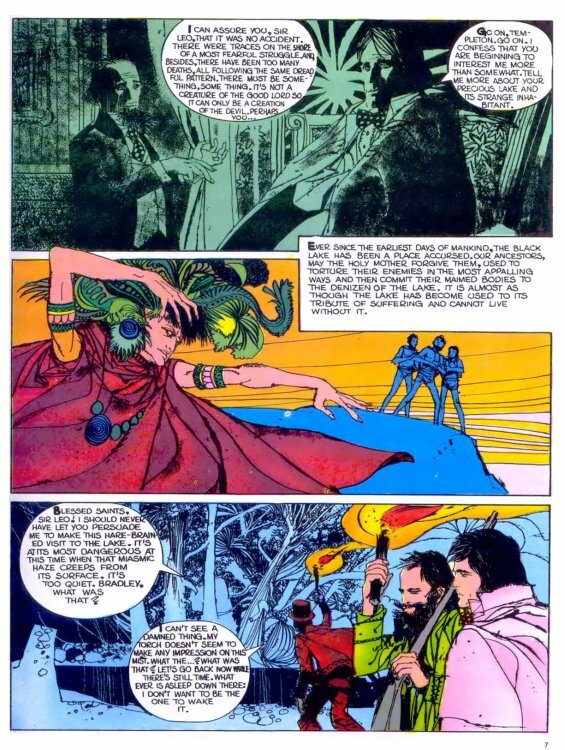 This first part of a two-part tale from Dracula #1 (1971) was co-written by Luis Vigil. 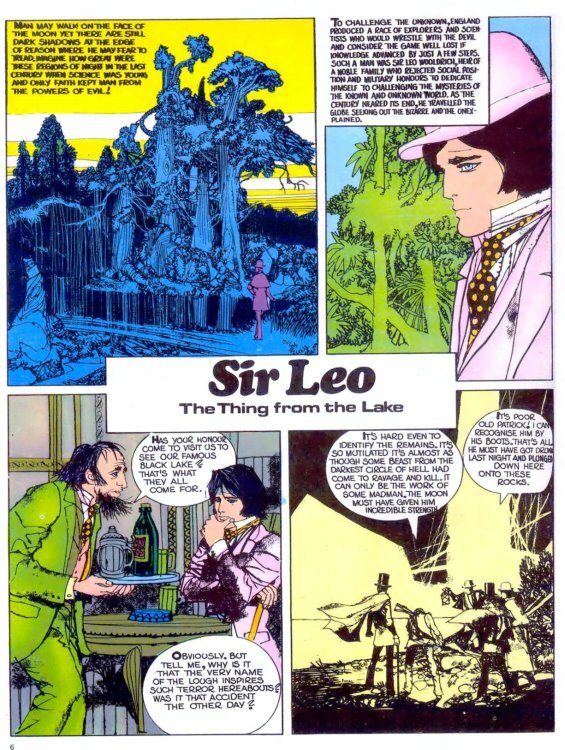 The Sir Leo series was published irregularly in Dracula (1971), a 12-issue partworks magazine* by Great Britain's New English Library, the first two Sir Leo tales made their American debut in Warren Publishing's HTF Dracula TPB in 1972 which reprinted #1-#6 of the British Dracula's run. 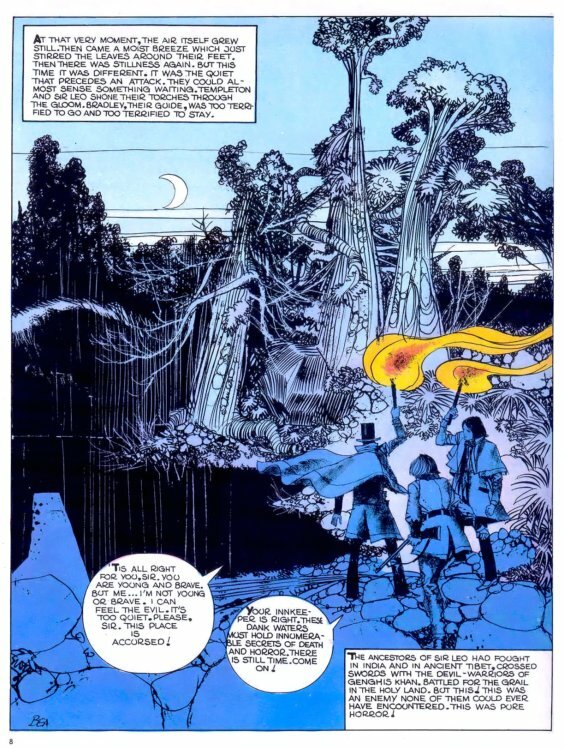 The remaining tales from #7-#12 have never been published in the US. 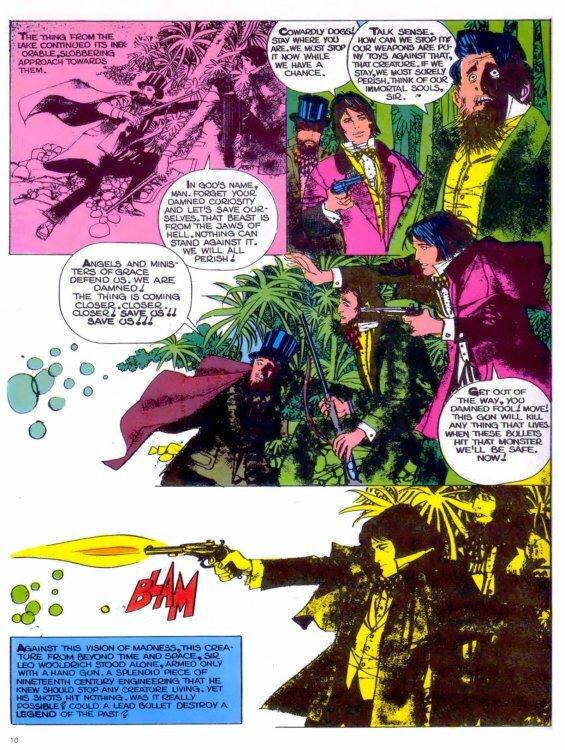 We will be presenting the complete Sir Leo strip (including the unseen-in-the-USA stories) on this blog over the next few months. *Partworks magazines are a limited series issued from weekly, fortnightly, or monthly. They usually run 12-24 issues for each volume. When the final issue in a volume is published, the publishers offer a wraparound cover to make the complete set into a hardbound book. 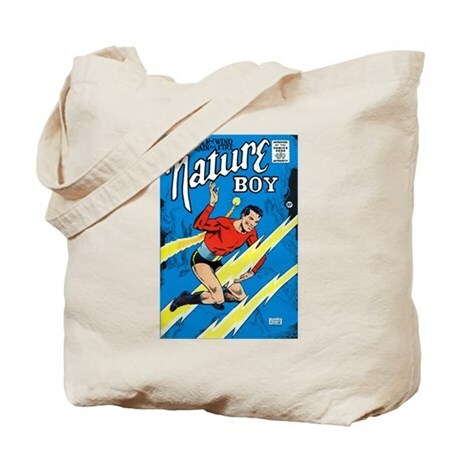 The buyer is offered the option to bind the magazines themselves or send the set to the publisher who professionally-binds the mags and sends the bound volume back to the customer. This concept is extremely popular in Europe, but has never caught on in America, despite numerous attempts.